A prominent part of the soundtrack to our times, over the course of his career, Michael McDonald has maintained incredible popularity and has been awarded numerous accolades and honors in both personal and professional arenas. He has won an impressive five Grammys and earned innumerable chart successes and sales feats, yet all the while McDonald remains the artist's artist and an enduring presence in popular music. Born in St. Louis in 1952, in 1975 Michael McDonald began a long association with Steely Dan, adding his unique timbre to songs like "Peg" and "Time Out of Mind,” while touring with the band, as well as singing backup and playing keyboards onstage. One year after the release of Steely Dan’s Katy Lied, Michael got a call from the Doobie Brothers to join them on the road and by 1977 McDonald was welcomed into The Doobie Brothers as a full member. In the years that followed, McDonald and the Doobie Brothers enjoyed tremendous commercial and creative success. Their sound evolved from guitar-driven rock to a sultry, tight R&B feel, with McDonald writing and singing lead on "Takin' It to the Streets," "What a Fool Believes," "Minute by Minute," and other signature songs. Meantime, McDonald began to build his own career. And since the 1982 release of If That's What It Takes, he has completed a series of solo projects, each distinguished by its high production value, well-crafted songs and sultry, full-throated vocals. The success of his singles speaks for itself: "Yah Mo B There," with James Ingram, won a Grammy Award in 1984, "Sweet Freedom" was used as the theme for the Billy Crystal/Gregory Hines film Running Scared, "On My Own," with Patti LaBelle, reached #1 on the Pop and R&B charts and #3 on the AC charts in March of 1986. And "I Keep Forgettin' (Every Time You're Near)” reached the top 5 on the Pop charts and the top 10 on both the R&B and AC charts. These and many of Michael’s other songs continue to hold recurrent spots on radio stations’ playlists. In 2003, Michael paid tribute to the music that inspired him so early on – by releasing his album, Motown which went on to earn a platinum sales certification, as well as two Grammy nominations. He followed it up by releasing Motown 2 in 2004, which debuted at #9 on the Billboard Top Ten and #8 on Billboard’s Hip-hop and R&B chart. Noting an almost matchless consistency through more than 25 years of recording and performing, Warner Brothers celebrated McDonald’s career in August 2005 with, Michael McDonald: The Ultimate Collection, which highlights the wide breadth of his career from his days with The Doobie Brothers to his solo hits, to his version of the Motown favorite “Ain’t No Mountain High Enough.” In 2008 McDonald released Soul Speak (Motown Records). The album featured a unique blend of cover songs and his own new original compositions. The album effectively illustrates Michael's ability to transcend genres with three different singles from the record debuting - and charting - at three different radio formats in the same week. 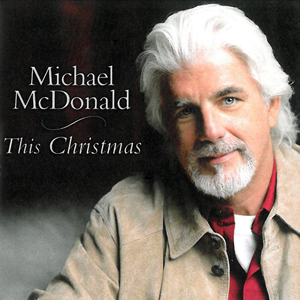 In 2009, Michael McDonald celebrated the holiday season with the release of his latest album, This Christmas--a collection of 12 Christmas classics and new holiday favorites.